Should I Go For Status, Wait For Now, Or Wait Forever? I just wrapped up a big trip with one of my best friends, Matt. As you’d expect, much of what we talked about during the trip was miles & points. He’s someone who is big into miles & points but doesn’t have status right now, so here’s his current “scenario” for going for status. Curious to hear what you guys think! 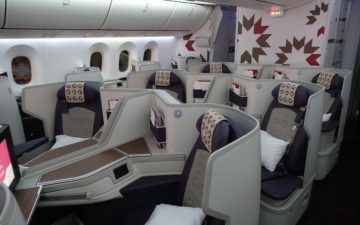 As some readers may know, I just flew a couple segments in Emirates first class with Ben, and then hopped around Europe on British Airways, airberlin, and, within the past day, Austrian Airlines. I’ll be returning home via Frankfurt on Lufthansa, and will be reviewing their first class product. That is, unless the pilots decide to strike without much advance notice in the next day or two. For me, flying economy, coach, “euro traveler,” or whatever its called intra Europe is no big deal. The flights are generally no longer than a couple hours, and I’m not especially tall so the leg room isn’t an issue for me. Depending on where you live in the United States, things might be more or less the same. If you are based in Chicago, for example, there’s not that many U.S. destinations that are more than a few hours from Chicago. The west coast is the furthest, but that’s still less than four hours of flight time away from Chicago. It’s somewhat different when talking about someone who lives on the west coast and travels frequently to the east coast (or vice versa). My family lives on the east coast, in a city I have no choice but to connect to if flying any legacy carrier, and many of my friends are located in New York. Flights between JFK and LAX/SFO can take nearly as long as JFK-LHR, especially during the winter. And to the extent they’re shorter on the outbound, that only ruins any chance of sleeping on a redeye. Factoring in that I often want to leave in the early evening on Sundays, i.e., I’m usually number 25 or so for departure at JFK, it should come as no surprise that I’m concerned about seat comfort. I’m assuming — perhaps naively — that my new job will afford me somewhat more free time than my former job, such that I can visit family and friends on the east coast at least once a month. I love Los Angeles. Ben makes fun of me for how often I mention Los Angeles or that I’m an Angeleno. (Of course, what do we expect from someone who has no home lives in hotels!?) He knows he wants to live in Los Angeles though. Just like my New York friends. Even if they won’t say they love it, they do too. Anyway, part of loving a city, I think, is being able to get away enough that the city remains fresh and exciting. 52 weekends a year in Los Angeles has the potential to be dreadfully boring. How many green juices, “hikes,” and trips to Erewhon can a man handle? That brings me back to the title of this post. Since I know am fairly sure I will be embarking on transcons (of approximately 5,000 miles each) at least once a month, do I go for status on an airline? Do I go for status now, meaning I’d have status through February 2017? Do I wait until January 1, 2016, so that I get status throughout 2017 as well? And then on top of all of that, if I do elect to go for status (and frankly even if I don’t care to maintain it), I should almost certainly do so by way of a status match or status challenge, right? All of a sudden the decision has become more complicated than redeeming your Korean Airlines SkyPass miles for someone else! The initial decision is which airline to fly. I want an airline that has direct flights, which knocks Alaska Airlines out quite quickly. Delta, American, and United all have sizable operations out of LAX, however, so I’m lucky in that respect. I’ve had status with both United and Delta, but don’t feel particularly inclined to return to either carrier. Despite having flown almost 250,000 miles on United (a low number for many of you, I know), I can count on a single hand the number of notably good experiences I had onboard — and all of those predate the merger with Continental. Now that they’ve completely gutted partner redemptions through MileagePlus, I just don’t see the point of going for status with United. I’ve flown more than 300,000 miles with Delta, and although I’ve certainly had bad experiences, I maintain that Delta provides the most consistently good service of any U.S. legacy carrier. Add to that the fact that Delta has IFE on most every aircraft, and wifi on literally everything but their one cabin regional jets, and Delta is certainly a strong option. The problem with Delta, however, is that as a Platinum Medallion I almost never cleared upgrades. That was particularly true LAX-ATL. I had better luck to and from JFK at off peak times, but of course those upgrades are no longer complimentary. I recently flew domestic economy (not the bizarrely newly rebranded BusinessElite Delta One), and thought the experience was quite nice. Even though Delta aircraft are generally older, they’ve modernized the cabins such that they feel new. It almost feels like you’re flying Virgin America. Reality sets in, of course, when Miss Patty goes around asking “y’all” what “type of coke” you want, and calls you “sweetie.” (I don’t mind this one bit, but there simply aren’t many Atlanta, Georgia based Virgin crews.) Delta’s catering is also well done, in my opinion, although it’s no replacement for real food. I don’t see the point in going for Delta status, though. (My condolences to OMAAT contributor Nick, who has a love affair with Delta.) Why? Because the main reason I want elite status is to obtain upgrades on transcons and to earn frequent flyer miles that can be redeemed for premium (ideally first class) international travel. As noted, I virtually never cleared when flying via ATL (which is how I would visit my family). Beginning this year, upgrades to JFK from LAX are not complimentary, and so my odds are 100% for not clearing there, save for using a confirmable instrument (the same is true on United). Worse still, Delta SkyMiles (a/k/a SkyPesos) are incredibly difficult to redeem at reasonable rates. Why use 62,500 Aeroplan miles for Lufthansa first class when I could spend 300,000 Sky Miles to fly Delta’s 767 business class. 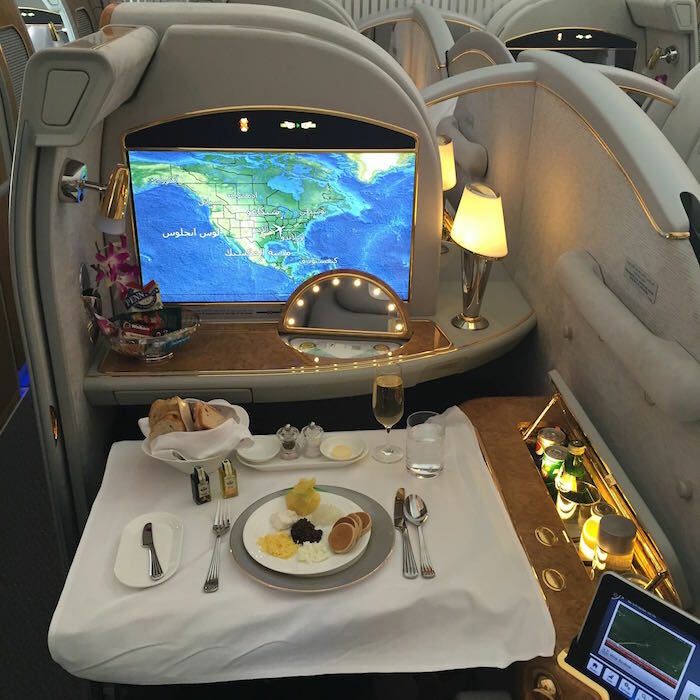 The thought of redeeming 300,000 miles for anything but three one-way awards to Europe, Africa, or Southeast Asia in Emirates first class with a stopover in Dubai is positively mortifying. People shouldn’t even be allowed to joke about that. As Delta apparently knows based on its marketing, loyalty is a two-way street. That’s precisely why I won’t be loyal to Delta. That leaves American Airlines. Despite not having flown much on American, I have flown it enough to have a fairly good understanding of its product. I have flown American’s old flagship first from Tokyo Narita to Los Angeles once and taken several trips in the new A321 flagship first product to/from LAX/JFK (which is essentially the new 777-300ER business class seat). I’ve also had many short and mid length flights in domestic first. Finally, I have flown AA economy on several occasions, including from Dallas to Los Angeles (my longest flight). There’s no question that American’s economy is not as nice as Delta’s. To be fair, there may be a possible exception on the A321, but I’ve never seen the economy cabin. Delta Sky Clubs beat Admirals Club lounges too. (With SFO being an exception.) So why fly American? Two reasons. First, Advantage miles are easily the most valuable points currency for someone, like me, who wants to travel in international first class. Who would turn down an opportunity to fly Cathay Pacific, Japan Airlines, British Airways, or Etihad Airways in first class? Not only are these partner redemptions available, American has yet to gut their award chart and make these awards relatively unobtainable for most flyers. The 75,000 mile sign up bonus on the Citi® / AAdvantage® Executive World Elite™ Mastercard® is more than enough to fly Cathay Pacific first class to Hong Kong and onward to anywhere in Southeast Asia, which costs only 67,500 points. Cathay Pacific First Class Seat 1K — Yes, please! Compare that to 120,000 United Mileage Plus miles for first on ANA, which relatively speaking is just ridiculous. That’s why the card is on my list of cards to get before year-end, especially since Admirals Club access is somewhat useful if I elect to fly primarily on AA. Will AA devalue its award chart? Most certainly. But I see no reason to believe AA will make changes that render it materially worse than United or Delta (assuming that’s even possible), and partner award access (which is often plentiful given the right time frame), shouldn’t disappear either. Second, AA offers complimentary / sticker upgrades from LAX/SFO-JFK, and from what I hear it is much easier to clear an upgrade LAX-ORD/CLT/(to a lesser extent)DFW, than on Delta via ATL. Not only does AA offer complimentary upgrades to business on the flagship A321s, that product is essentially identical to Delta and United’s 757 business on the same route. I’d say Delta and American’s product is much more aesthetically pleasing, too. More still, the flagship first product that American offers is totally unmatched by any competitor, and it’s GWTW fabulous. Add to that the fact American is now serving Lanson Brut champagne on the JFK-LAX/SFO routes, and I’m more amber happier than Ben in Emirates first. To this point, it seems like I’m just explaining why I’m going to aim for status on American. But the thing is, I have questions about whether it’s worth it. I won’t be buying business fares and upgrading to first, so the first class allure somewhat dies away. And I’ve flown the first class product a number of times now, obviously without having any elite status. American and British Airways miles are not that difficult to come by, and there’s plenty of points space close to departure if you’re willing to be a little flexible on times. Moreover, even as an Executive Platinum (and definitely as a Platinum relegated to using stickers) I have to imagine the chance of an upgrade LAX-JFK on the Friday redeye is slim to none. Despite all of this, I will be traveling enough that I won’t always want to use miles, lest I have nothing left to use for international premium cabin travel — the best use of points there is, in my opinion. Mileage bonuses for elite members will also help me accumulate more points to use for international redemptions, even though credit card sign ups are still by far the best way to earn redeemable miles. So, here’s my question for all of you: should I do an American challenge now, get Platinum, and then try to get Executive Platinum starting January 1, 2016? This seems like the best way to go, because I’ll have status while going for EXP, but I won’t get EXP this year and waste what would be something like six months worth of status (assuming I qualify for EXP mid next year by including some international travel). On the other hand I could just keep the $240 (I think) that it costs to do a Platinum challenge and just work my way up organically. But I think if I do the math, just the elite redeemable bonus I would get as a Platinum and the fact I can pick Main Cabin Extra seats more than justifies the cost. I’m interested to hear everyone’s thoughts on the matter, though, and welcome any advice you have for me. Thanks! Matt is a champagne and travel obsessed Angeleno. Somewhat restricted by his day job, Matt’s posts focus on more infrequent aspirational points travel. Travel is supposed to be fun, so expect that from his posts. Matt – good luck in whatever you choose. Personally I have never gone for status but based on your flying requirements, I can see where it might make sense. You might already have seen this – but I just wrote a post about a (possibly targeted?) fast track to elite status on American Airlines – you can get Executive Platinum through Feb 2017 for only 25,000 EQP. This is why Ben should not have employees writing blog posts. Travel bloggers should be giving advice and not asking for it. No offense Matt, focus on your day job. @Brent, why must it always be a one-way thing? Sounds like someone’s had a sour patch. “If you are based in Chicago, for example, there’s not that many U.S. destinations that are more than a few hours from Chicago. The west coast is the furthest, but that’s still less than four hours of flight time away from Chicago.” Technically, Guam is the furthest US point from Chicago. Omg, there should have been chapter numbers with that post. I thought I was reading Gary. hey Matt, I actually just completed an AA Platinum challenge. It was $240 and the phone agent agreed to give me Gold status during the qualification period, so I figured it was worth it. Requirement was 10,000 EQPs in 90 days. I’m only a month and a half into the challenge and I’ve already logged over 20,000 EQPs and 25,000 EQMs. I called to see if I could somehow do an EXP challenge given the amount I’ve flown in a short period of time, but they couldn’t offer me anything. In any case between the instant Gold status and the 100% mileage bonus I’ve been getting since qualifying, I’d say the fee was well worth it. I’m Platinum now through Feb 2017, and I will plan on going for EXP next year. I wasn’t aware we needed more advertisement for American. 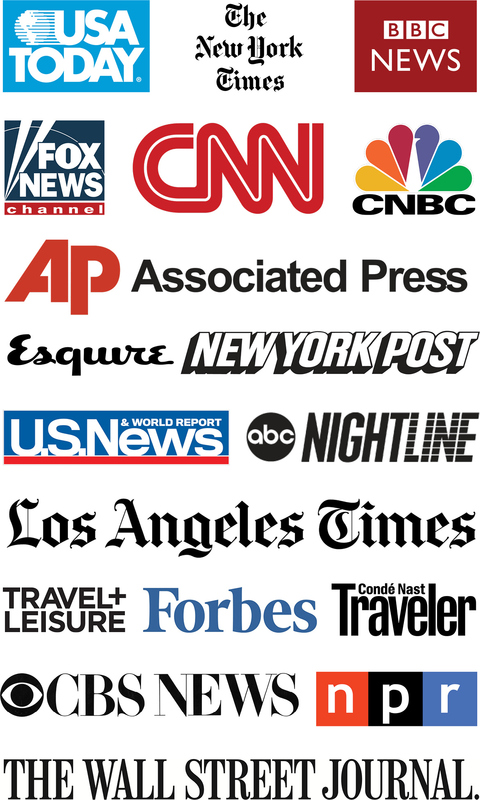 Marky– if I can write as thoroughly as the thought leader in travel I must be doing something right! Thanks to those who pointed out the fast track. Blogs are meant to be places where information is exchanged, after all. Matt I enjoyed the post and am happy to offer my data points as a NYC based AA Plat who does about 5-6 transcon RTs a year and a fair amount of short to mid haul domestics, maybe a dozen or so RTs a year. When you fly is equally important as where. If you’re going to go for prime time transcons LAX-JFK, you need to be EXP and even then I would estimate your upgrade chances at being around 20-40% depending on how early you booked and the fare class. You have better luck routing through DFW or ORD but of course that adds a connection and a sub-par hard product. On slightly less convenient flights, upgrades do happen. I was upgraded at the gate about 2 min before boarding on JFK-SFO on weds night. It does happen but don’t count on it. For me, status makes a difference for all my shorter trips. LGA to just about anywhere, JFK-AUS and JFK-MIA I am batting about .900 in terms of upgrades. But I’m not sure you need to go all the way to EXP for that. I have colleagues who are Gold and see the same thing. Could be entirely different being based in LA though. Unless you have plans to travel a lot in the last 4 months of this year, why not wait until January 1 to do the challenge and have it count towards EXP at the same time? I am inclined to agree that AA won’t devalue such that they would be materially worse than DL or UA, but by waiting just a few months, you would be able to challenge with certainty about what AAdvantage is going to look like post-merger and whether it would still best fit your needs. Go for the status. There’s very little downside. I fly JFK-LAX/SFO a lot and my observation is that American is almost always more expensive for a coach seat than Delta, United, JetBlue and Virgin. If you go for American, the status handcuffs will constantly bleed an extra $40-50 out of you on each flight. I was DL platinum for years and am an AS MVP Gold now. MVP gold is good because it gives you the option of AA or DL and still lets you select good coach seats on each. You are crazy if you prefer a connection in business versus a direct flight in coach on a transcon. You should value your time more. Also LA-based and I, too, have considered the AA Platinum Challenge to help with my increasingly-frequent transcons. I haven’t done it, though, for a few reasons (the second-most important route to me of late seems to be LAX-DTW, and every non-Delta experience I’ve had ex-DTW has been a nightmare; I tend to travel with family members and everyone has an opinion and no one likes American). This sounds like a pretty good idea for you, as long as you have some excuse to travel in the next few months to make it happen. I do second @Matthew’s idea about JetBlue, though. I’ve flown Mint twice now and it’s really a solid product. Obviously, Mosaic status is about as useful as no status, but you credit JetBlue flights to Emirates! What does GWTW mean? You’ve used it a couple of times. Google is not helping? For what it’s worth, I had no trouble using my Amex plat $200 reimbursement for the platinum challenge copay. Of course ymmv. My two cents on status is that domestic upgrades are nice when they happen, eco+ seats are valuable when they don’t, and the exp desk is priceless during irrops. If you’re not already AA elite, I’d be cautious. AA is very likely to change its program to revenue based sometime next year…and probably devalue their award redemptions as well. So switching to AA because of their better award chart will not last long IMO. ALSO, several OneWorld partners like CX are switching over to revenue based programs, too, and to holding back F products for their own FFs over partner programs. So your move to AA may turn out to be counterproductive in about a year. ALSO, AA award values are certainly better now…but they’re also harder to obtain. It is FAR more difficult to find premium class award flights on AA, especially with its partners, then it is with UA–partly because AA awards are so cheap comparatively. That’s *so* cute that you think your new job will give you enough time to go to NYC every month. Bwahaha. Why is BA Gold not an option? The AA “stickers” won’t get you very far. EXPs don’t get upgraded THAT easily on the A321s. If there’s one thing Benji does correctly, it’s structure his posts. Probably better than anyone else in this whole ‘game’, I’d say. Feel free to help yourself to a leaf. Thanks for a great site. I went for status with SQ as PPS. Really it gives very little, having the Star Alliance Gold that goes wih PPS, enable lounge access and extra luggage across Star Alliance. But PPS itself in my opinion not worth the trouble or the dollars. I think not having status will allow you to stay most flexible. Particularly on those red eyes where you could use miles and co pay to confirm an upgrade or use JetBlue mint. I don’t think status is worth it unless you can get top tier. With the mergers there are way more elites than before, especially in the middle tier. I think you might be over analyzing. I love status. But it is not just about upgrades which are unpredictable. (Platinum benefits) 100% elite mileage bonus has me awash in American miles. Complimentary Main Cabin Extra and Preferred Seats means that my legs are ok even if I am not upgraded. Free checked bags (ok, I only check in international flights, but still I know its is there). Early boarding is great because I always have a carry-on because I do not like to wait for baggage. Going to the elite line to check in instead of the long coach line is great. (Executive Platinum) I am Execute Platinum so I also get free drinks/snack. I also get special treatment on the phone and ability to change award ticket at will. I think you have to be in the now. Who knows what changes American or other Airlines might make in the future. The programs are in flex. Enjoy now. If they change, hopefully the saying “One door closes, another door opens” is true. I fly out of Seattle, and try to take AS to the East Coast. However, if I could credit those miles to my AS account (DL or AA) and get 1:1 for them (AA) and get an exit row seat, I don’t care which airline has the better ‘coach’ cabin. I’ve got my BT Parrot Zik 2 headphones, and my iPad loaded with books and movies. I bring my own lumbar support, and voila – every cabin becomes the same. So basically, my priorities are legroom and AS mileage credit. I just realized after writing this, that absolutely no one will care. Haha. I say wait. Out of the big three domestic US airlines, AA is the only one who hasn’t had a devaluation yet. I’d wait to see what the devaluation is like and then make the decision. Personally my favorites when flying transcon are DeltaOne and JetBlue Mint. Oh, girl, Ben really Stockholm Syndrome’d you on this trip to get you to get AA loyalty, didn’t he? (3) LAX-ATL is always going to be a hard upgrade at peak times (really anywhere to-from ATL on a Thursday afternoon/Monday morning for sure). 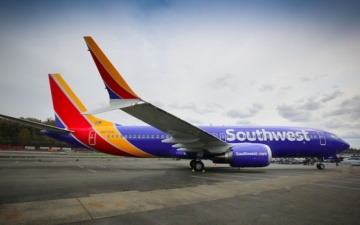 Is an SLC, MSP or DTW connection an option for you?